Strange Days Indeed. This beautiful rendition of Marvel Comic’s Dr. 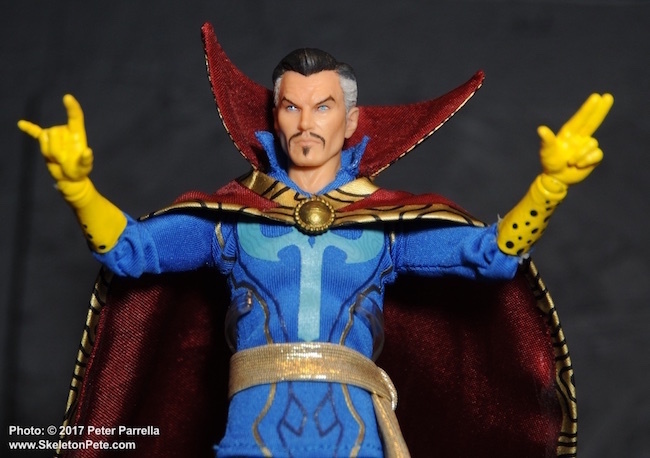 Strange will join Mezco’s One:12 Collective. The Toy Industry Association’s (TIA) 114th North American International Toy Fair in New York City is less than 24 hours away and as always we are preparing to bring you coverage of the newest products and toy trends for the latter year gifting season. Cameras are packed, lenses are polished, and we’re stocking up on energy bars for the 4 day foray that encompasses the entire Jacob K. Javits Convention Center and parts beyond. 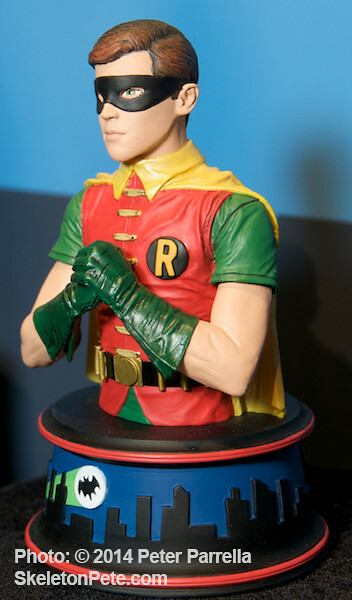 Thanks to the fine folks at Mezco Toyz we got an amazing head start. 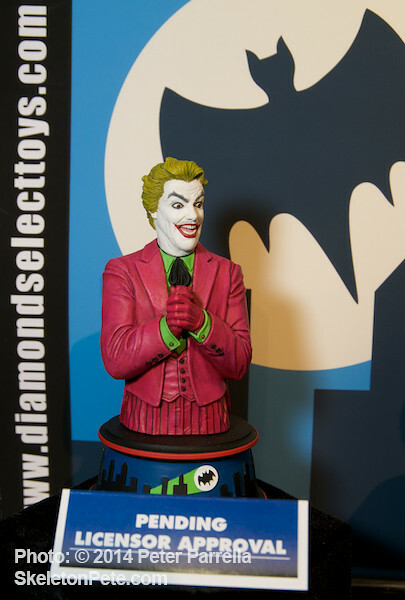 Their recent sneak peek event (held at their outer borough Fortress of Solitude) afforded the opportunity to grab lots of unfettered photos of their upcoming offerings. 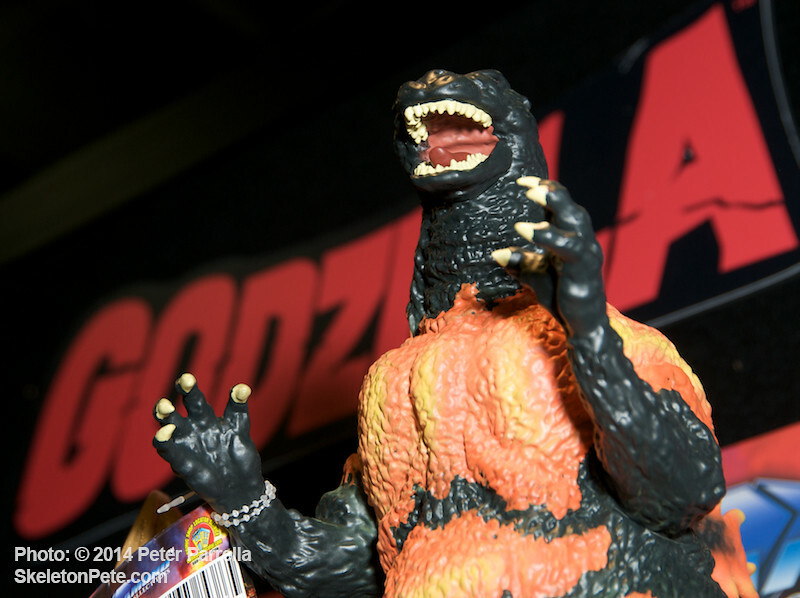 This post will reveal the additions to their One:12 Collective, but you can expect plenty of pix of Living Dead Dolls and other licensed goodies to appear here as well. 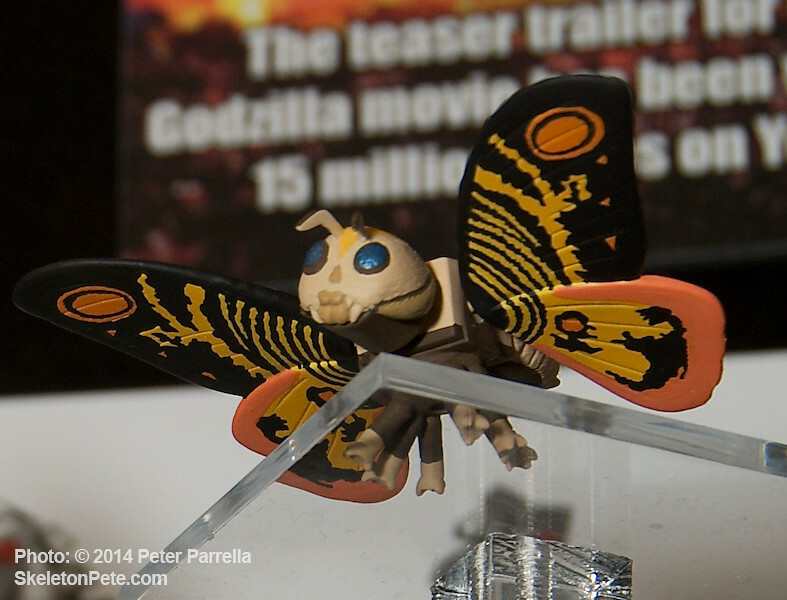 Keep in mind this is an advance look and many of these prototypes are still pending licensor approval. 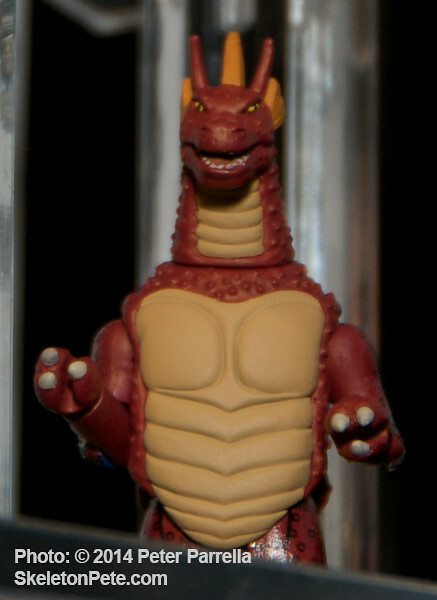 I love Diamond Select Toys’ line of Busts and Bust Banks for their great sculpts, just right size and reasonable pricing for collecting and gifting. 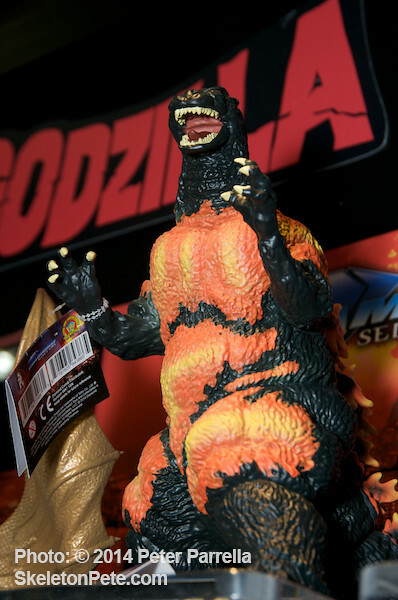 Previously focused on the Universal Monsters and Star Wars franchises, 2014 will see DST branch out with the addition of character likenesses from the beloved 1966 Batman television series, as well as the undisputed King of the Kaiju, Godzilla. 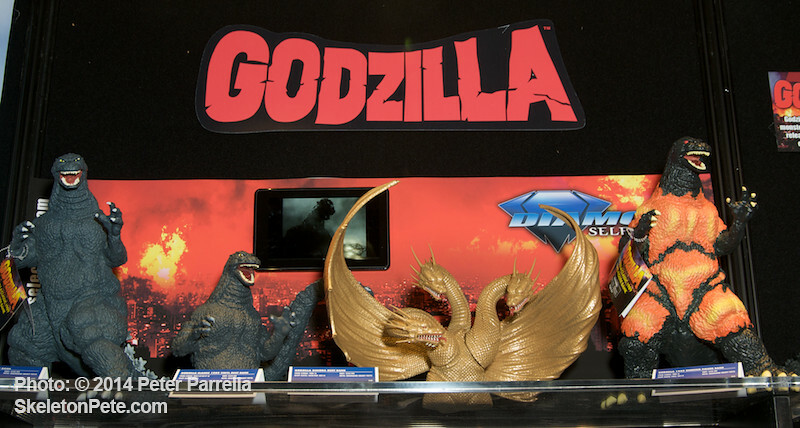 Seen at the recent American International Toy Fair, there are several flavors of the Godzilla to choose from. 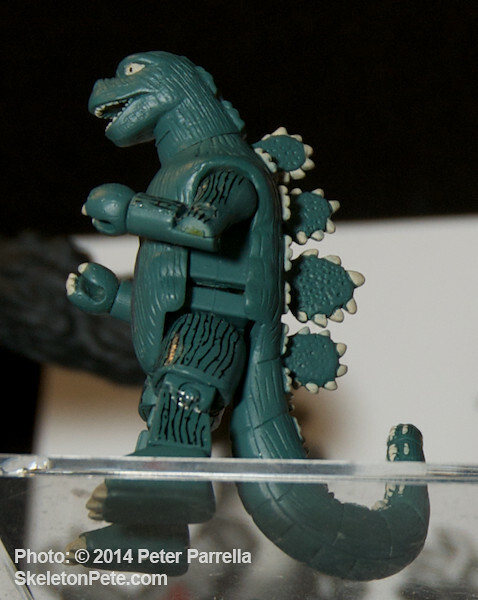 Beginning the roll-out of TOHO titans in May 2014 is the bust bank version of Classic Godzilla 1989. 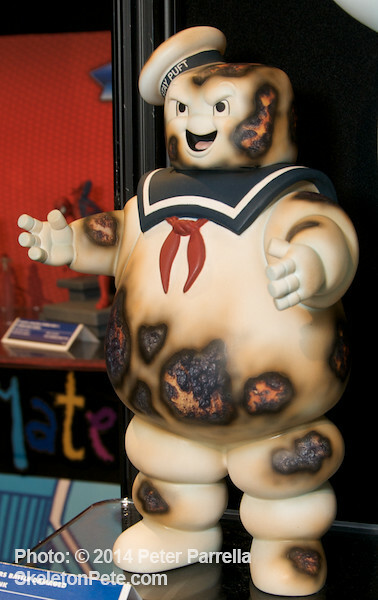 Like others in the series, the sculpt by Gentle Giant Studios is cut off just below the torso and measures approximately 10” inches tall. A coin slot in the back and access door on the bottom make it useful as well as decorative. A nifty way to save for, what else, more bust banks. 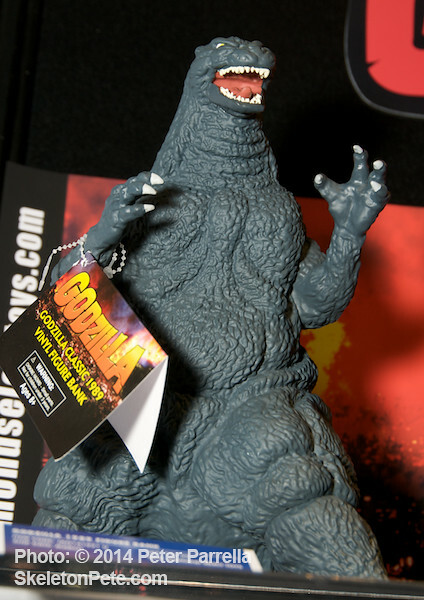 If you prefer your Gojiras full sized, DST has got you covered with two choices in vinyl. Measuring an impressive 18” from snout to tail and 12” tall these beauties also serve as banks. 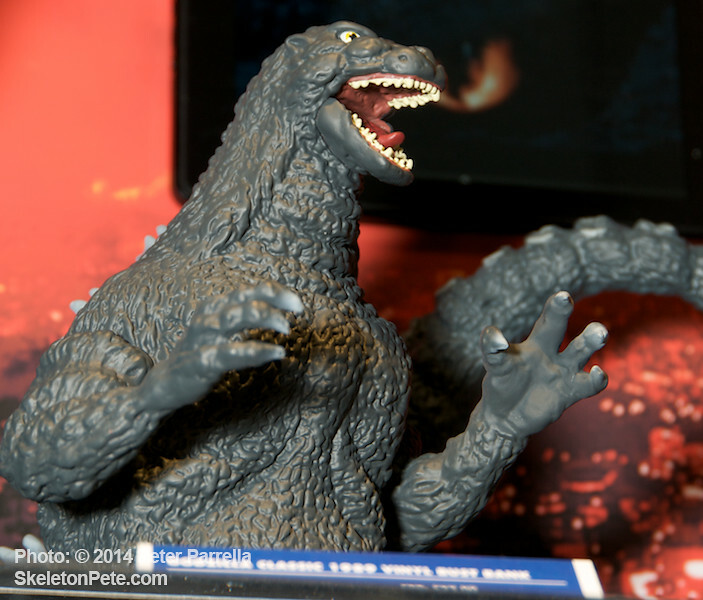 The full length Classic Godzilla is again the Biolante battling 1989 version. 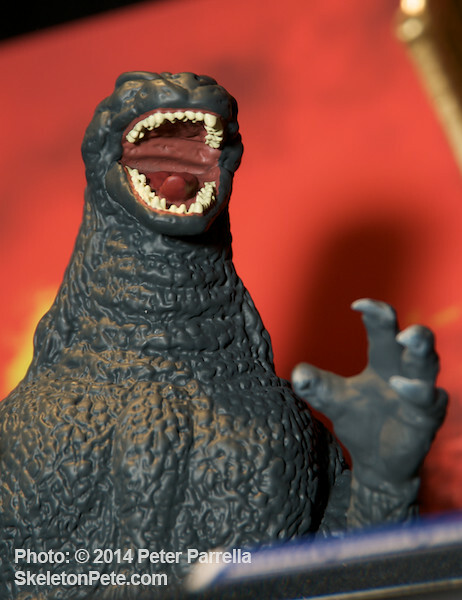 There is also the ferocious Burning Godzilla as he appeared in Godzilla Vs. Destroyah, nearing a meltdown of his alien infused nuclear heart. 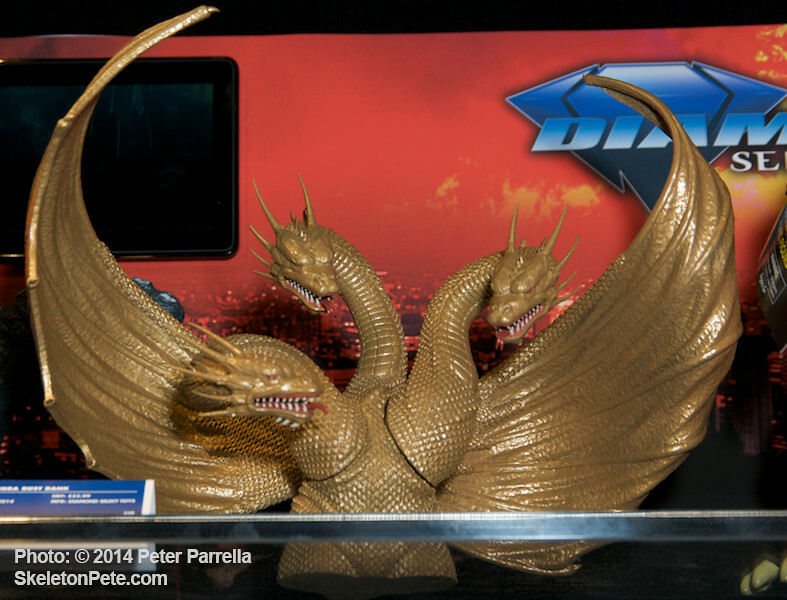 High on the awesome scale is the Diamond Select Ghidrah Bust Bank. IMHO it is the most spectacular of the bust banks to date. 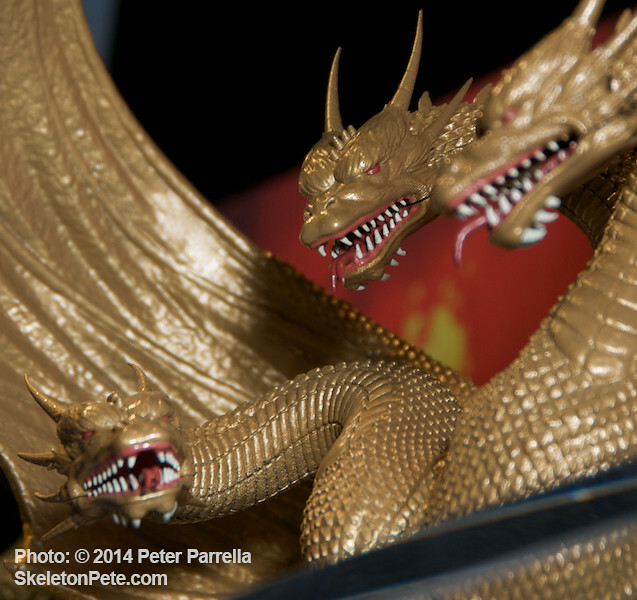 The space dragon, also known as Monster X and King Ghidorah, has a regal gold finish and massive wingspan surrounding its three snarling heads. Release date is Winter 2014. 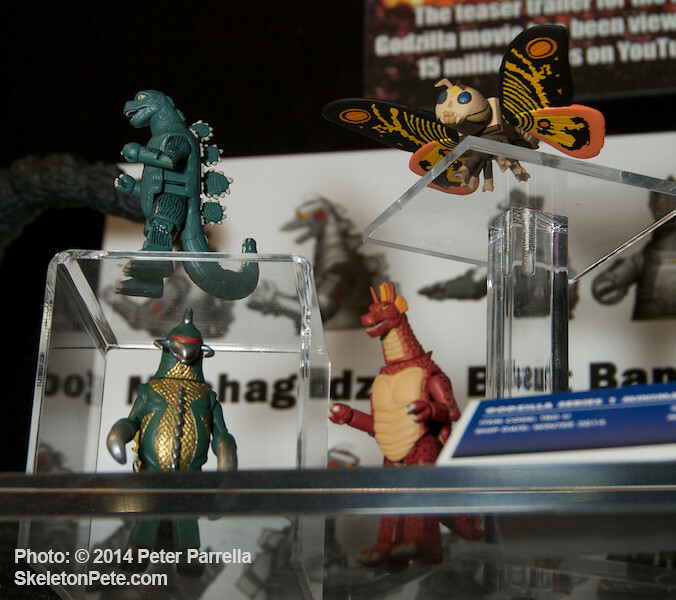 Not a “bank job” but most exciting for me was the reveal of Godzilla related Mini Mates. 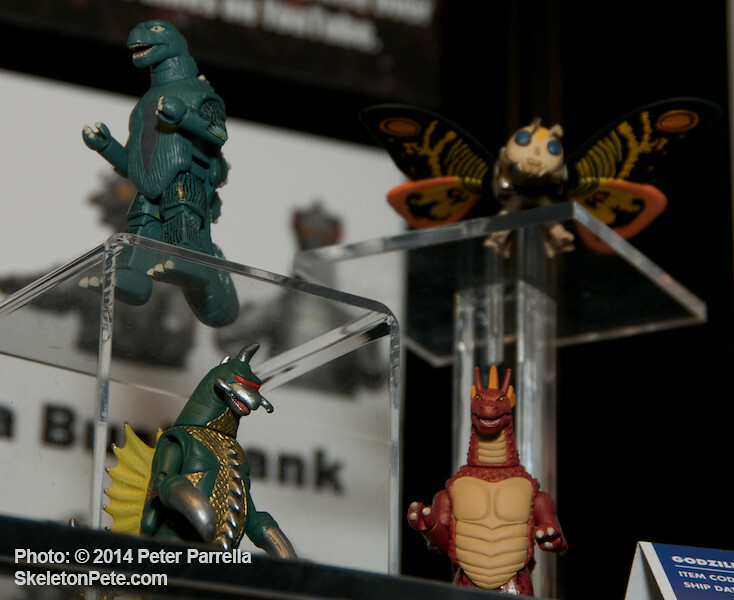 Series 1 includes Godzilla himself, Mothra in flight, the hook clawed Gigan, and long necked Titanosaurus. 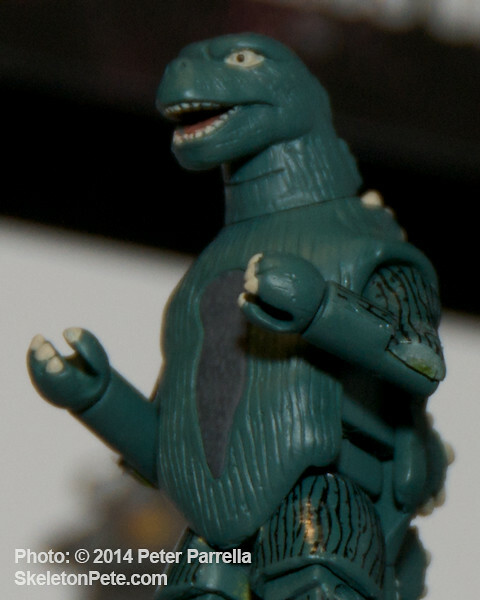 They’re all nicely detailed and articulated representations that I can’t wait to get a macro lens pointed at. 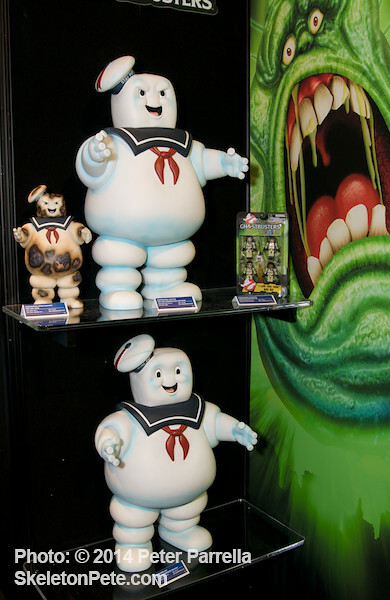 They will be sold in a 4 pack and are also scheduled to hit shelves in Winter 2014. 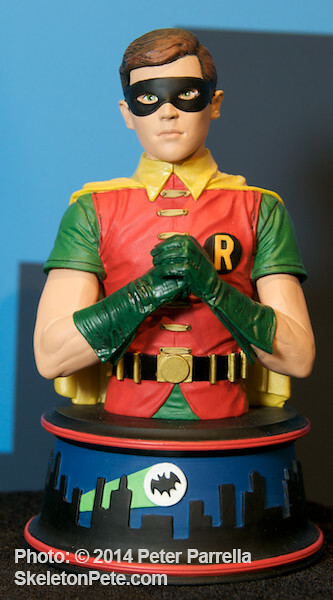 The Classic 1966 TV Batman is well represented with a full line of resin busts as well as vinyl bust banks in the works. 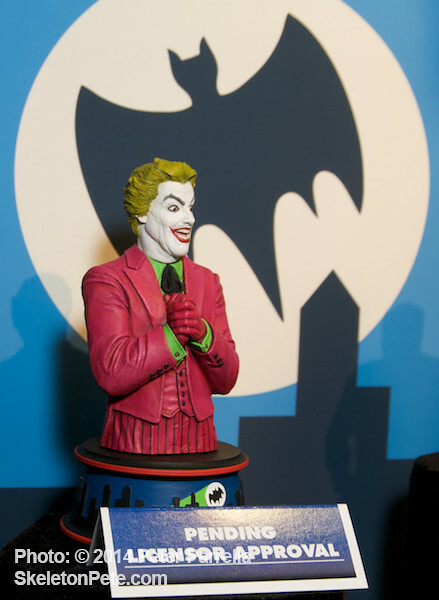 Though The Riddler resin was too early in the design process to photograph, I was permitted to get some shots of the Adam West Batman, Burt Ward Robin and still up for approval Cesar Romero Joker. 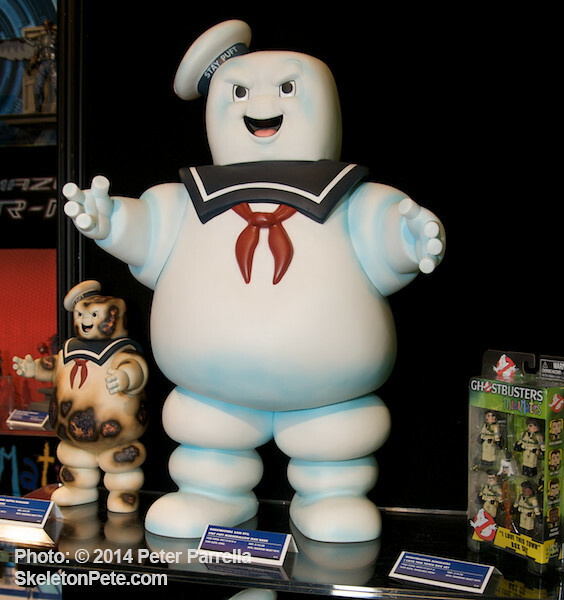 All are by sculpter Jean St. Jean and scheduled for release in 2014. 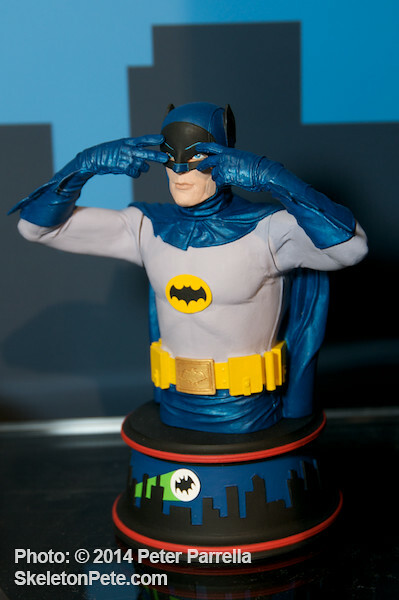 There’s also a mighty cool exclusive bust of the caped crusader doing the Batusi. 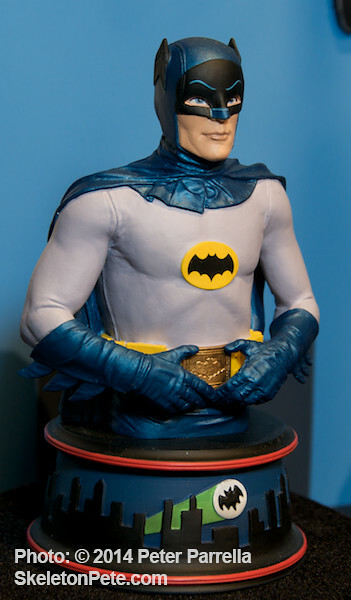 “Batusi” Exclusive Batman 1966 Resin Bust. In this 30th anniversary year of Ghost Busters collector’s get their choice of massive 24 inch Stay Puft in good and evil modes to guard their change. 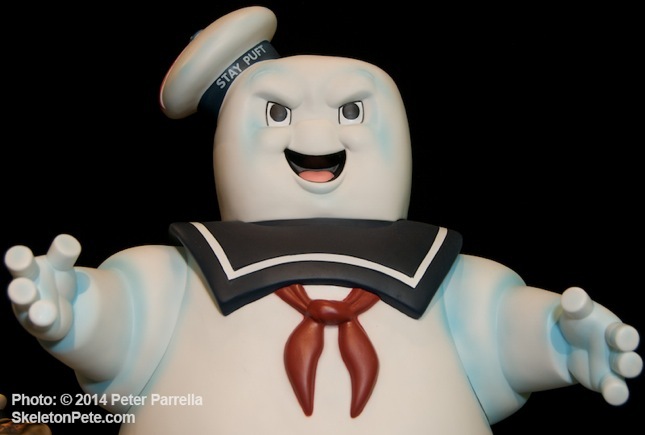 There’s a smaller, nicely singed, version, that’ll have you hankering for s’mores and a Ghost Buster Mini Mates box set. 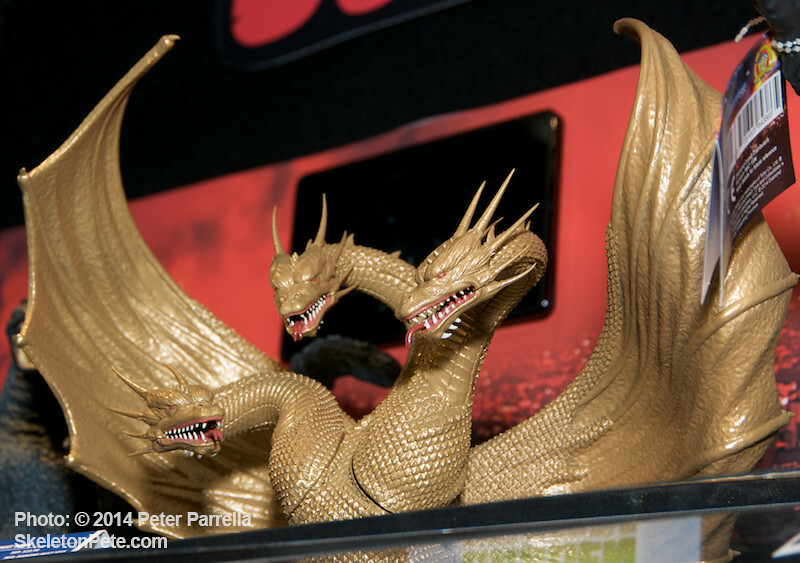 Off limits to photos at Toy Fair, but quite drool worthy even in prototype, was the This Island Earth Metaluna Mutant bust bank. 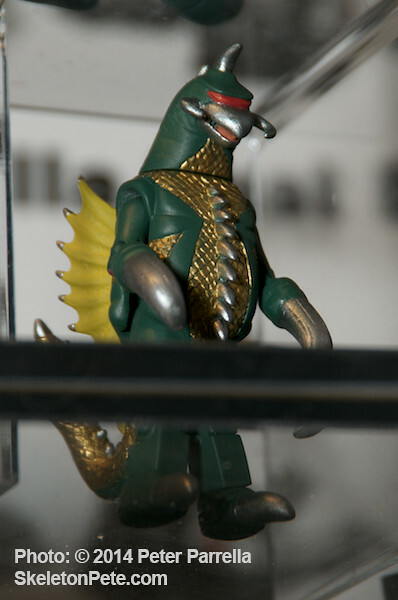 Its exposed brain, bug eyes and crab-like claws make it the quintessential 1950’s sci-fi monster. 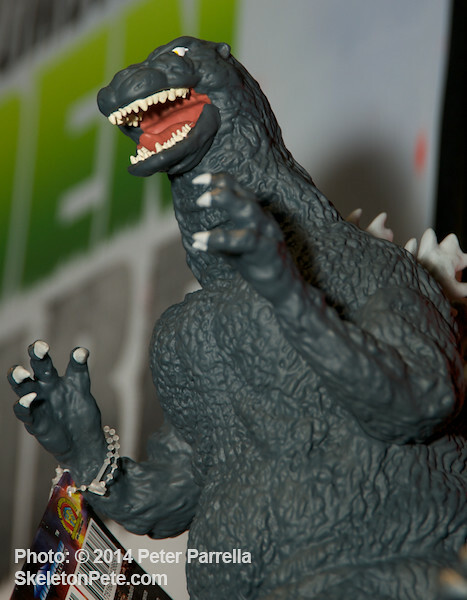 I predict it will be the must own of the series. Diamond Select also prevued loads of figures and Mini Mates for Marvel superheroes Captain America and Spiderman, Kill Bill, Sin City, Pulp Fiction, Plants Vs. Zombies and Jay and Silent Bob characters which I’ll be posting photos of in the coming weeks.